Finding a car camp spot at Death Valley was relatively easy. 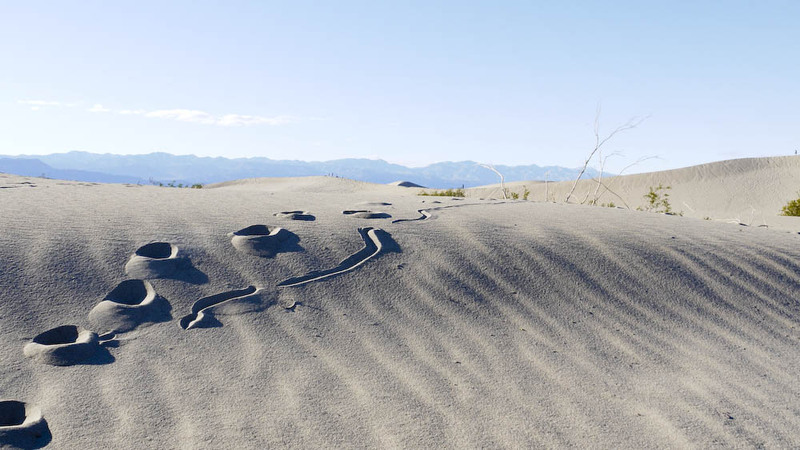 The only campground that takes advanced reservation is at Furnace Creek while the others are all first come first serve. 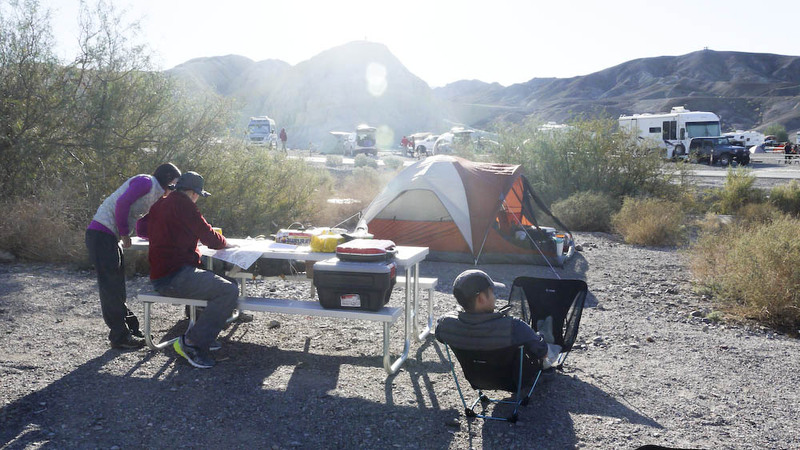 Since it was Thanksgiving weekend, the Furnace Creek campground was already fully reserved for the weekend by the time we started looking. Our camp spot at Texas Springs, Lisa and Robert slept in the tent while we slept in our Xterra. We dropped Dakota off with my parents Wednesday after work and headed out to Death Valley around 8:30PM with Lisa and Robert. We arrived at the national park that night at 1:30AM and found a nice campsite at the Texas Springs campground. Texas Springs campground is located right next to the park visitor center and general store which made it a very convenient central location to stay. The campground also has flushing toilets and running water which was a big plus for us. Camping at Texas Springs was $12 a night, which was not bad considering the large campsite and running water amenities we had. Our itinerary for the long weekend are outlined below. Due to the large amount of area we have to cover at Death Valley, we tried to visit one area a day to limit the amount of driving. Nevertheless, we still drove a total of 1,200 miles for the trip. This entry was posted in Hiking & Backpacking, Trail Reports, Travels and tagged camping, death valley national park, Hiking, national parks, outdoors, traveling by hikenoworklater. Bookmark the permalink.